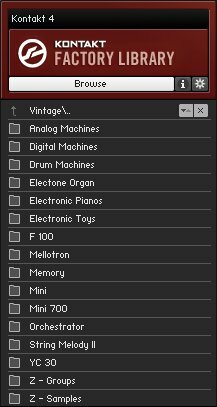 The Vintage Collection handles the legendary sound of analog synthesizers and keyboards. 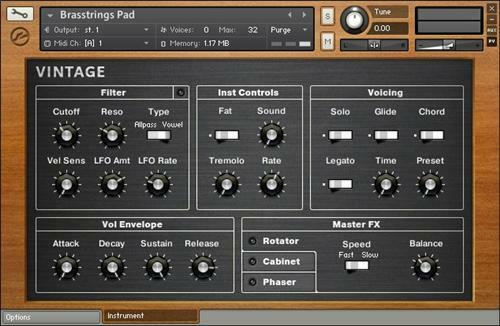 Also included are drum machines, synthesizers, organs and string from the seventies (including an all new Mellotron), and digital signature devices of the eighties. Only the original hardware was used for sampling, and so bring the whole character (and quirks) of the original material. The only "electronic toys" - is a creative play area full of quirky electronic toy keyboards.